What does service include for starting and charging systems? • Inspecting the battery, cables, case and hold down bracket. • Cleaning the battery terminals and connectors. • Testing the surface charge and cold cranking amp capacity of your battery. • Testing the voltage draw of your starter. • Testing the voltage output of your alternator. 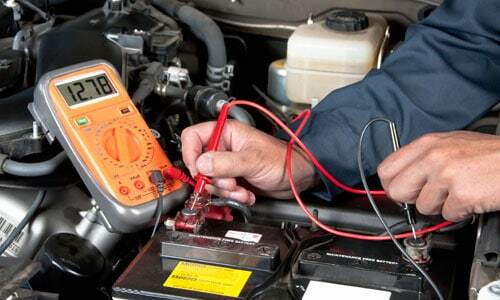 • Checking your electrical system for any possible battery drains. So stop on by Dale Feste Automotive for all of you’re starting and charging system needs.